Most people who are adults today are used to the idea of every-other-weekend child custody. But times are changing. It’s acknowledged that a strong relationship with both parents is better for most kids, so 50-50 style custody has become a far more common result of divorce. Known as joint physical custody. Today we’re here to define the most common ways 50-50 custody works out for parents who live close together and far away. If co-parents live close to each other, you can swap the kids more easily, possibly even keeping them on the bus route to the same school. This means both parents can see the kids very frequently without shaking their routines too much. In this case, your swapping schedule should depend on the age of the kids and what works for everyone’s schedules. Kids change households every couple of days, and live easily out of either house. More common with younger children who are not yet in school and benefit from constant exposure to both parent to form a strong relationship. Very common for all age groups of children. Try to be lenient about extracurricular and play-date scheduling with cross-neighborhood friends. Also incredibly common, especially as kids get older and need a whole weekend to make plans with one group of friends or the other. evero 1 or 2 weeks also works well with teenagers who drive themselves. For parents who want to provide the greatest stability or don’t want to change the kids up frequently. Usually punctuated with weekends or scheduled visitations during the month. If co-parents live far from each other, swapping is a bigger deal and takes more effort. So parents tend to go for longer intervals, and the children’s ages matter much more in how easy it is to make the swap. Remember to keep the school schedule in mind when asking kids to move around monthly. Very common with active parents who live far apart. As the kids get older, they will be able to take the trip themselves by road trip or plane. This schedule is less common because it’s hard on the school schedule. Consider working around your child’s semesters or trimesters instead of exact 2-month adherence. For parents who decide to give their child only one school per year, splitting around the school breaks is a very common agreement. The school-district parent gets the children during semesters while the other parent takes them for the entire summer and the majority of the winter break. Most co-parents can find a schedule that works for them within these common variances. Or you can just as easily write and agree on a custom schedule that gives you each the 50-50 that works for the family. 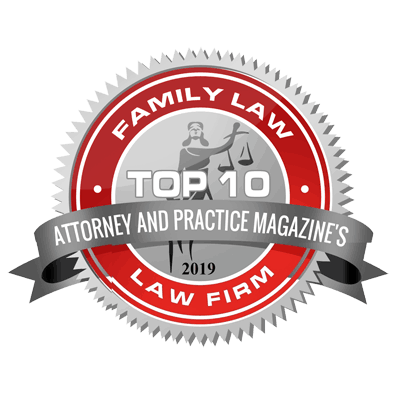 For more family law insights or to consult, contact us today!